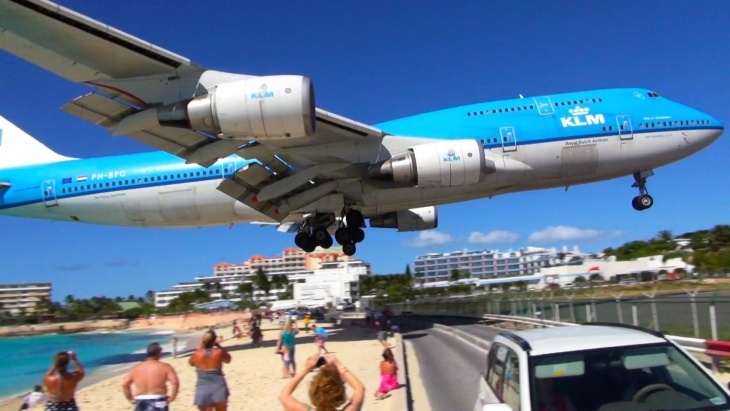 St Maarten’s Airport in the Caribbean is home to one of the most insane and scariest runways on the planet. The beautiful Island airport requires pilot’s to land commercial airlines over a very busy beach by around 100 meters, leaving absolutely no room for error. Not only is the pilot’s job very difficult, as the planes are flying so low, many tourists will gather around the beach to witness the 400-tonne commercial jets land and take-off. In fact, it’s so dangerous that last summer, a tourist lost their life after being knocked over by the power of the jet’s engine blast. The airport handles approximately 2.5 million passengers per year, with a majority arriving for vacation purposes due to the islands beautiful beaches and tropical destinations. Not all airlines have pilots that are trained to fly to St Maarten’s Airport, however, the major airlines that do are Air France, Delta Airlines, KLM, American Airlines and United Airlines.